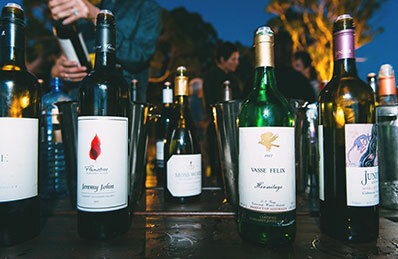 Vasse Felix hosted over 350 wine producers of Margaret River and local friends of our industry at the Estate on Friday 5 May for A Colossal Celebration - 50 years of Vasse Felix and Margaret River wine. 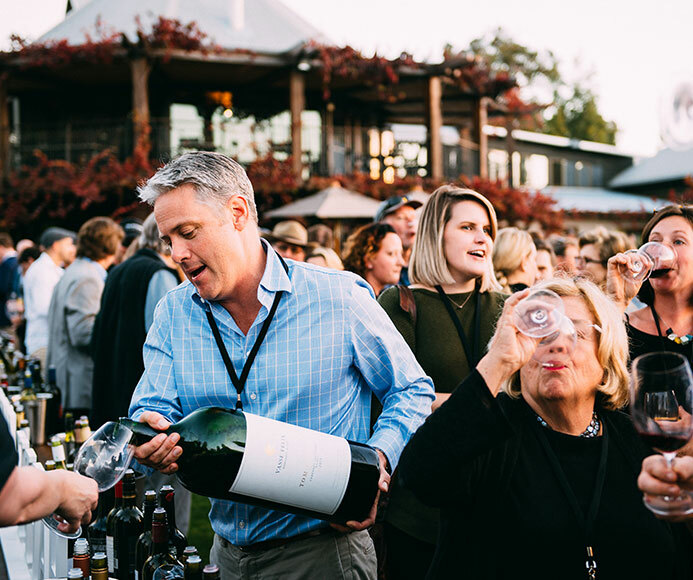 Each guest was asked to bring their favorite bottle of Margaret River wine from the past 50 years to share as part of a 'Colossal' Tasting Table. Highlights from the tasting table included a 1973 & 1975 Mosswood Cabernet, a 1978 Vasse Felix Cabernet, and an Imperial to unveil the new vintage of 2013 TOM CULLITY. Guests were greeted with a glass of Vasse Felix Blanc de Blancs on arrival and the musical talents of accoustic guitarist Daniel White. 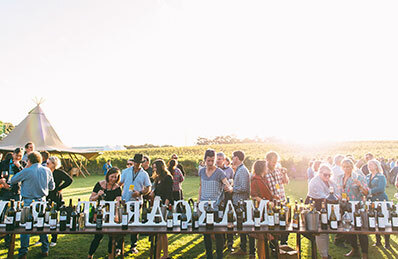 They then headed over to the Colossal Tasting Table at 3pm to embark on a wine tasting adventure of their own making – choosing from a range of over 300 Margaret River wines. During the afternoon, Paul Holmes à Court hosted a discussion panel featuring Andrew Caillard MW of Pinnacle Drinks, Denis Horgan from Leeuwin Estate, Nic Peterkin of L.A.S Vino, Robert Hill-Smith from Yalumba, and Vasse Felix’s Chief Winemaker Virginia Willcock. 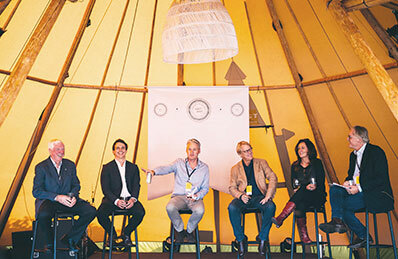 The panel discussion centered around ‘Imagining 100’ – what the wine industry in Margaret River will look like in 2067 (the 100th anniversary of the region). The panel had a wonderfully engaging and interesting discussion about Margaret River wine and its position on the world stage. 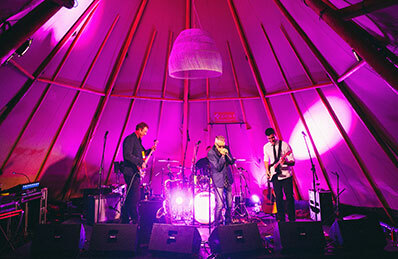 Following the panel, the event kicked into party mode with local band Howling Onshore entertaining guests while the Settlers Tavern and Vasse Felix hospitality teams filled bellies with delicious food and wine. Margaret River Elements helped to capture the milestone event – check out some of our favourite snaps below! We are excited to announce that the 2013 TOM CULLITY Cabernet Sauvignon Malbec is now officially available. 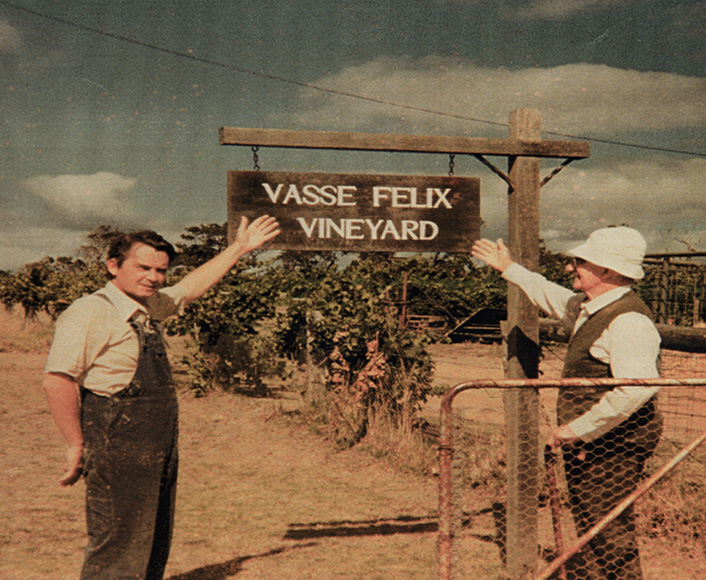 Dr Tom Cullity established Vasse Felix in 1967 and made Margaret River’s first significant red wine – our Cabernet Sauvignon Malbec, in 1972. The TOM CULLITY is a single-vineyard evolution of the HEYTESBURY, named in recognition of Tom’s achievements. It descends from his original 1967 vines and was made exclusively from our Home Vineyard in Wilyabrup, which has been expanded carefully over the years. The mysterious alchemy of the Margaret River cape seems to have kept us well protected and the fruit has ripened beautifully - some spectacular batches in house. This year is a cool vintage of elegant, perhaps slightly lighter bodied wines. The Summer temperatures were cooler than normal and we began the of harvest for our white varieties three weeks later than average over the last ten years, with picking commencing on 22 February. Chardonnay is looking crisp – slightly coiled in its relatively young phase but with its balance we are comfortable it will be another great white vintage. Sauvignon Blanc has excellent flavour and structure and a good natural balance of acidity and sugar. We harvested Semillon in a very healthy condition too. With healthy fruit and confidence in our natural microflora we have extended our wild fermentation program across to more of the Sauvignon Blanc and Semillon this year, and that wine will now show more of its natural attributes from tank and barrel. (Meaning all Premier and Icon wines are fermented with natural yeast). We have harvested the first blocks of Shiraz which is really interesting in this cooler year. It is quite spicy, more cool climate looking and very vibrant. The Cabernet received a couple of consistent, warm weeks during its veraison period and the fruit is coloured beautifully. We expect we will be picking as patches reach their peak any day now. Watch this space! 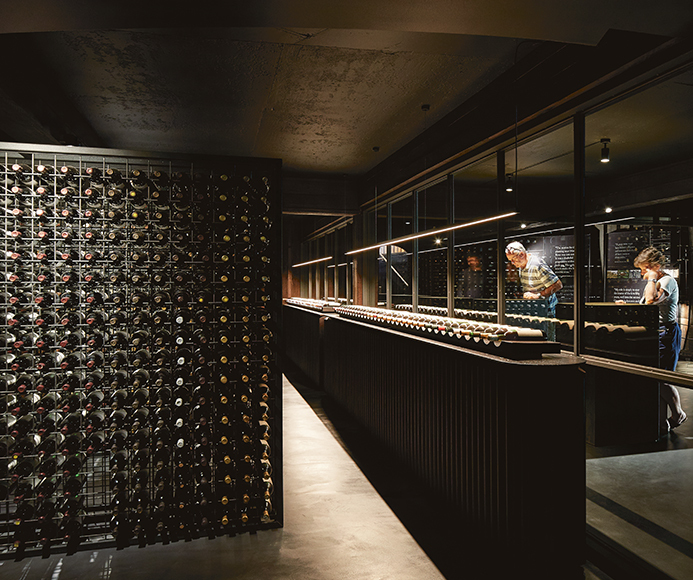 We are excited to announce that the newly decked out museum space 'The Vault' - home to the most historic museum wine collection in Margaret River - is now open to visitors. In the 1970s Dr Tom Cullity had an idea to sink the concrete shell of a water tank into the earth to store Vasse Felix wines. Unfortunately, in the early days it wasn't fit for purpose as the temperature varied too much. The space evolved over the years, eventually housing the Vasse Felix Cellar Door from 1979 up until 2009. These days the cellar is temperature controlled. It has been the home of our museum wine collection since 2010, and most recently received a spectacular new fit-out to become 'The Vault'. The Vault houses all of our historical wines; including the last remaining bottle of the 1972 Cabernet Sauvignon, alongside a new historical exhibition of the early years in the region and at Vasse Felix. It is now available for selected tours, including 'The Cellar Experience', which operates on weekends. The Vault was developed working with Melbourne-based interior designers Hecker Guthrie with whom we have worked for numerous Cellar Door projects including the Restaurant refurbishment of 2014, development of our Wine Lounge, and the design of Bar Felix. These projects have been nominated for the Commercial and Interiors chapter of the WA Architecture Awards to be announced later this year. Summer in wine paradise; friends, family, sunshine, good food and fine wine. It was wonderful having so many visitors over the holidays, in what has been a mild Summer here in Margaret River. Between the Restaurant, Wine Lounge and front lawn, the Estate was certainly a bustling hub of activity - and this feeling has continued through January. We spotted some great images on social media from visitors sharing their VF experience by tagging @vassefelixwines and #vassefelix. Vasse Felix once again hosted the revered Australian Chamber Orchestra for the annual Sound & Sense Festival. 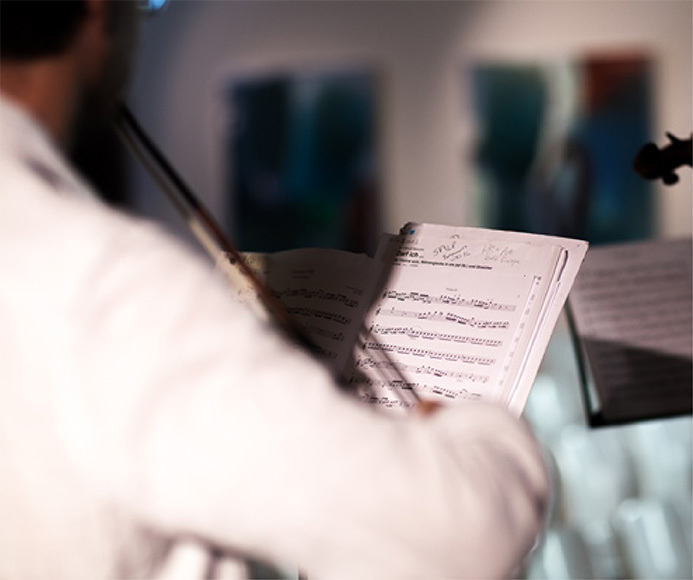 Guests were greeted with a glass of Vasse Felix Blanc de Blancs sparkling on arrival, accompanied by cheese and charcuterie before assembling in the tranquil surrounds of the Vasse Felix Art Gallery, for a Classical performance by the Australian Chamber Orchestra. 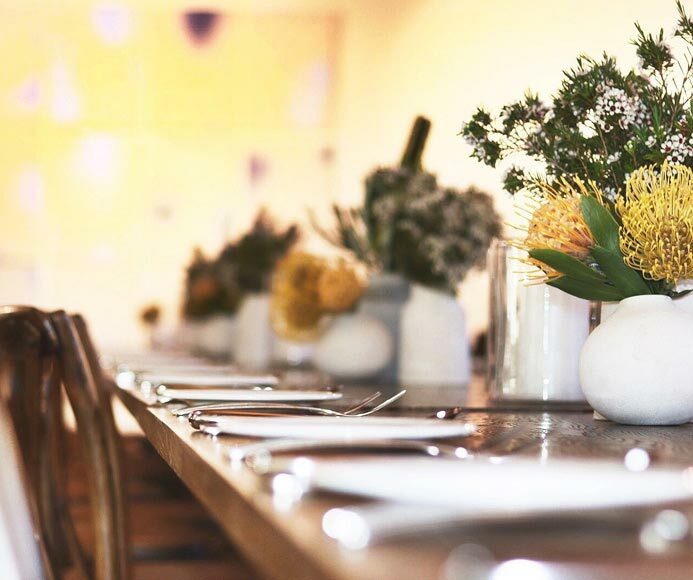 Following the performance, guests joined Janet Holmes à Court, Richard Tognetti and members of the Australian Chamber Orchestra for an intimate dining experience held upstairs in the Vasse Felix Restaurant. 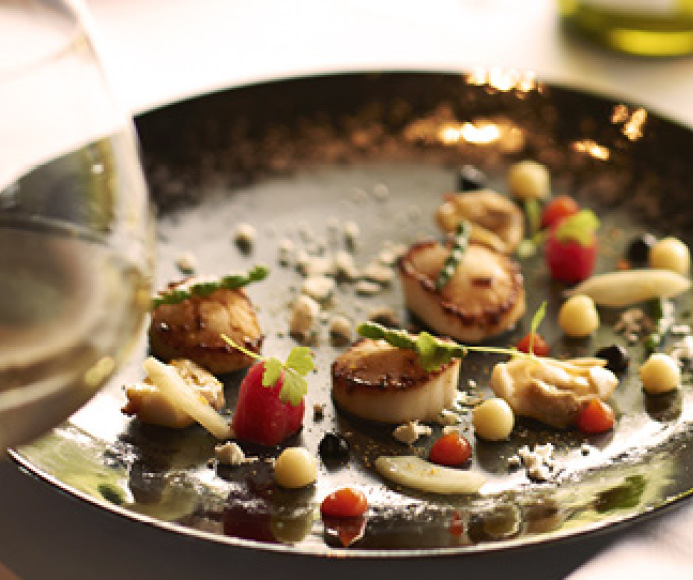 This tantalising five course degustation menu by award winning Executive Chef Aaron Carr included perfectly matched wines by Vasse Felix Chief Winemaker Virginia Willcock. 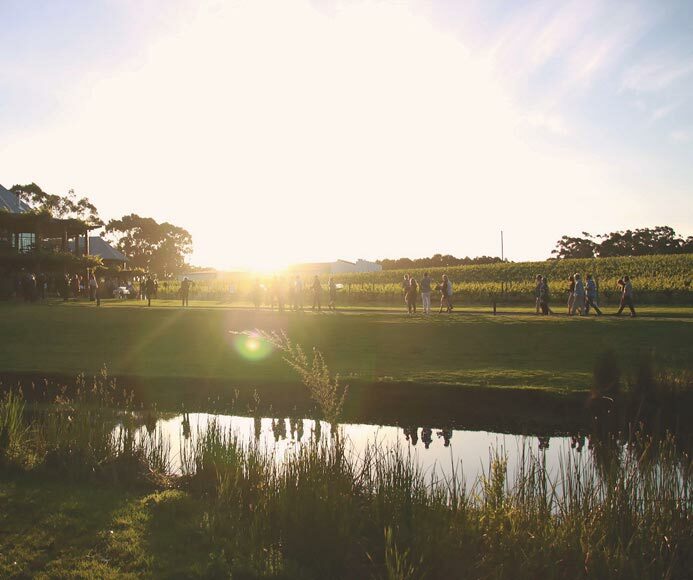 Following an exquisite repertoire of much loved favourites combined with new engaging works by the Australian Chamber Orchestra, guests enjoyed a gentle evening stroll through the old vines to the spectacular Red Barrell Hall for an unforgettable grand long table dinner hosted by Vasse Felix Winemakers. 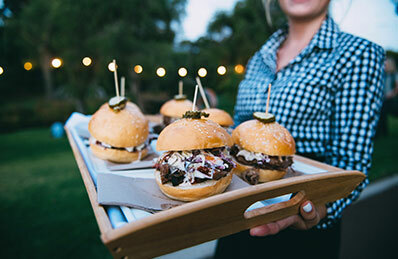 Guests enjoyed an accesible and engaging program at a special family friendly morning performance, followed by gourmet bites picnicking on the lawn or a special lunch in the Vasse Felix Restaurant with friends and family, ACO newcomers and die-hard fans alike. Vasse Felix's top food and wine picks for the festive season, including recipes from Executive Chef Aaron Carr. Scallops are easy to prepare and great for entertaining. First, remove the abductor msucle then sear in a very hot pan, turning only once and allow to rest before serving. 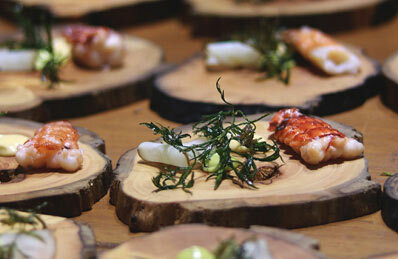 Dress with Sweet Ginger dressing and pair with Vasse Felix Sauvignon Blanc Semillon. 1. Whisk together all ingredients and serve with lightly seared scallops. Vasse Felix Executive Chef Aaron Carr's simple vegetarian gnocchi dish is versatile as a main or side. The grilled fig and vincotto makes this gnocchi dish light and punchy for Summer. Matched with the 2015 Chardonnay, the creamy flavours of the pumpkin and goats cheese are perfectly balanced by the wine's citrus power and hazlenut and wafer notes. 1. Place the potatoes in a large pot of cold water & bring to the boil, simmer gently until cooked. Remove from the water & place on a tea towel & allow to stand for 5 mins (if the potatoes seem a little moist you can place them in a slow oven for 5 mins to dry them out). 2. Remove skins from the potatoes & use a mouli to pass them into a large stainless steel bowl. Add the plain flour a little at a time to form a dough. Divide dough into 3 and roll each into long cigar shapes. Using a scraper cut into 3cm pieces. Place into a pot of boiling water & simmer until gnocchi floats to the top. Remove & place on a tray. Place the tray in the fridge to cool. Repeat the process until you have finished all the dough. 3. Place a heavy based fry pan on high heat with a little olive oil & sea salt, add the gnocchi & pumpkin & cook on a high heat stirring constantly until gnocchi is evenly browned. Add pepitas & rocket & toss for 2 mins. Remove gnocchi from the pan & place into a serving bowl. Place the pan back onto the heat & add the butter & sage leaves & cook until butter is nut brown. Spoon the butter & sage leaves over the gnocchi. 4. Place 4 pieces of fig & some goats cheese on top of the gnocchi, drizzle with the fig vincotto. Serve. The real reward of making this salad comes from growing your own sprouting lentils! Simply blanch beans and toss with sprouting lentils and thinly sliced fennel. Top with a dressing of olive oil, lemon juice and sumac. 1. Firstly to make the sprouting lentils, lay a cloth on a flat tray & pour the lentils onto this, cover with another cloth & pour enough water onto the cloth to moisten. Leave the tray in a warm spot making sure it doesn’t dry out for 2 days or until the lentils have sprouted. Remove & store in the fridge until needed. 2. Place a pot of water on the stove big enough to blanch the beans, add a teaspoon of salt & when boiling blanch the beans for 1 minute, remove & place immediately into iced water to refresh, remove, drain & reserve until required. 3. Cut the fennel bulbs in half & using a mandolin shave as thinly as possible, wash, drain & reserve until required. 4. In a large stainless steel bowl mix the fennel, beans, goats cheese, salt & pepper, olive oil & lemon juice & toss. Place onto a large platter & top with the lentils & a little sprinkle of sumac. This salad makes a great accompaniment to lamb or grilled chicken for a Moroccan vibe. The pickled carrots can be prepared a day prior and kept chilled in the fridge in the pickling liquid to absorb the beautiful cinnamon and star anise flavours. 1. In a pot bring the vinegar, water & sugar to the boil with the cinnamon quill and star anise included for flavouring, allow the pickling liquid to cool for 15 minutes then pour over the carrots & place into the fridge until cold. 2. For the quinoa place a pot on the stove with a little olive oil, toast the quinoa for 1 minute stirring constantly. Add the water & bring to the boil, cover & allow simmer for 12 minutes or until water has evaporated. Stir quinoa, drain & place onto absorbent paper to cool in the refrigerator. 3. Drain carrots & reserve the pickling liquid. In a large stainless steel bowl mix the carrots, quinoa, walnuts & feta, place this into a serving bowl. Drizzle with a little of the pickling liquid, the pomegranate seeds & sprinkle of the mint & coriander. Serve. Tip: To remove the seeds from your pomegranate, cut in half, twist open and hold in your palm with the seeds facing toward it. Hit the top of the shell with a wooden spoon and the seeds will fall into your palm. 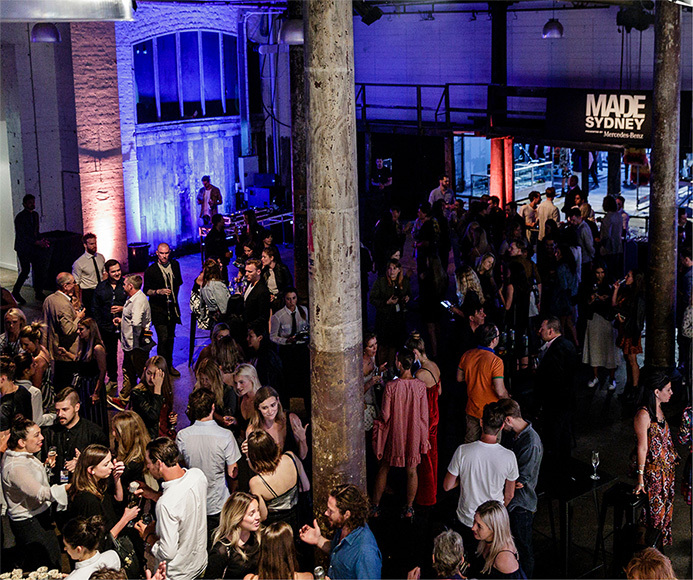 MADE, the creative hub from New York, launched its inaugural fashion, music and art event at Carriageworks in Sydney in November 2016. MADE is a year-round, dynamic platform that connects emerging talent in fashion, music, art and culture with visionary brand partners. Started in 2009 to counter the impact of economic recession on fashion designers who could no longer afford the cost of runway shows during New York Fashion Week, MADE has grown into a global, vibrant community that lives at the intersection of fashion, music, art, and youth culture. MADE SYDNEY was a 2 day festival-like one-of-a-kind event celebrating the best of Sydney's fashion, skate, music and film scenes. Programming included a fashion event by Mercedes Benz, a skateable installation by Faith Connexion, and retail pop-ups featuring exclusive pieces from MADE designers. 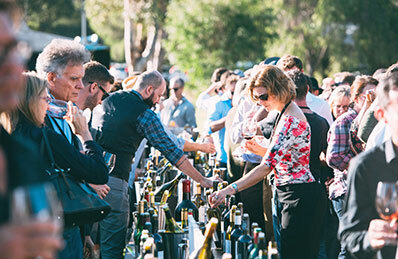 Vasse Felix was the official wine sponsor, serving Classic Dry Red and Classic Dry White alongside beverages from The Cider Lab, Absolut and Perrier. James Halliday muses on the past, present and future of Vasse Felix including his review of the yet to be released 2013 Tom Cullity. AUSSIE WINE'S SOUTHERN STAR - Vasse Felix is among equals in the wine world, James Halliday explains why. 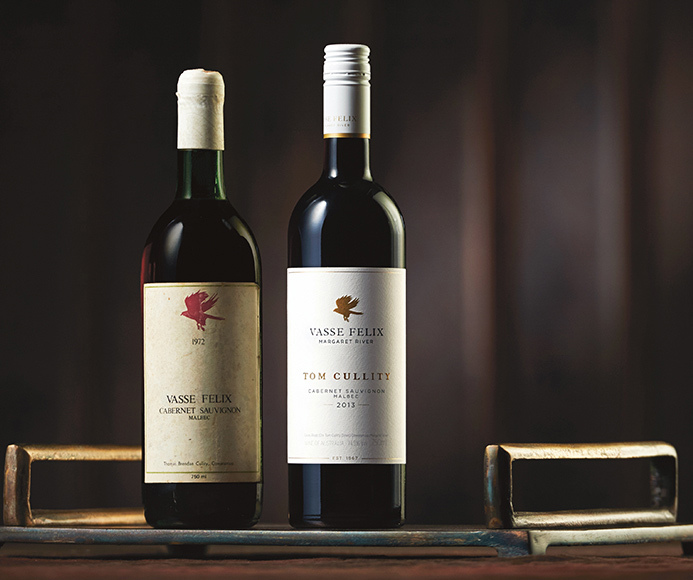 "Perth cardiologist Dr Tom Cullity was first out of the blocks in Margaret River when he established Vasse Felix in 1967, initially planting cabernet sauvignon and malbec, and making its first commercial quantity of wine in 1972. 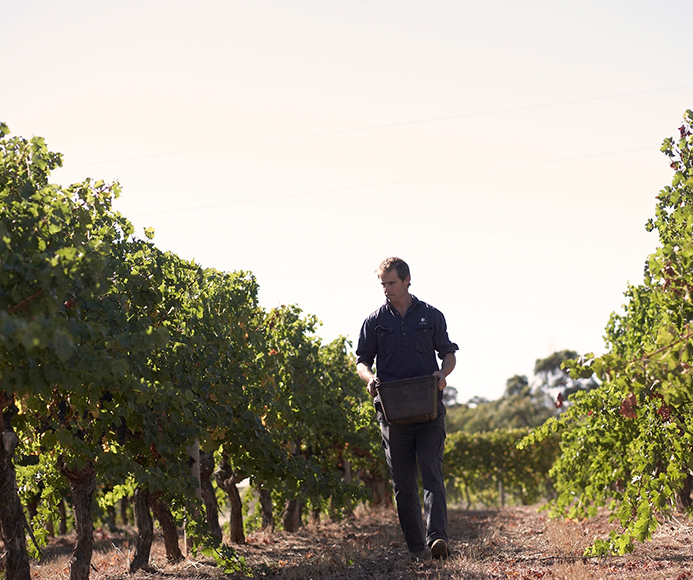 Today there are 165 wineries in what is one of Australia's most highly regarded regions. Indeed, if you simply look at cabernet sauvignon (and its associated varieties of merlot, malbec, cabernet franc and petit verdot) it stands alone as the foremost producer of such styles. Vasse Felix is first among equals, its 150,000-case production with a logical four-tier structure, most of the volume coming from the Classic Dry White and Classic Dry Red, then Filius, next varietal, and two icon wines at the top. Paul Holmes a Court, involved since the family purchased Vasse Felix in 1987, became the sole owner in 2008. Virginia Willcock became chief winemaker in 2006 and has been central to the increasing quality of the wines, working closely with Paul. Its two icon wines were first made in 1995, named Heytesbury after the Holmes a Court family company. One was (and is) a chardonnay of sublime quality, the other a cabernet-dominant blend, until now simply called Heytesbury. It is the latter wine that has been the focus of attention in recent years. The first wine made by Cullity was a cabernet malbec, then over the decades the emphasis changed to a Bordeaux blend of multiple varieties. But since 2008, largely elbowing petit verdot out of the way, malbec has made a progressive comeback. 30 per cent less has been made, and the malbec component has increased to 20 per cent. It makes its statement effortlessly, leaving Tom content." Wild fermented, 28-35 days on skins; matured in French oak (61% new) for 18 months. Slightly light colour; gloriously fragrant bouquet; intense cassis-accentd palate. 76% cabernet sauvignon, 20% malbec, 4% petit verdot; exceptional texture, length and aftertaste. One of the icons of Margaret River a chardonnay that has had spectacular success in shows over the past 5+ years. The mouthfeel and balance are flawless, supple yet focused, all the ingredients - fruit, oak, acidity - in perfect harmony. Included in James Halliday's Top 100 Wines for The Weekend Australian Magazine. From the premier Wilyabrup vineyards; barrel fermented, matured in french oak (42% new) for 9 months. The bouquet is still developing but the palate gurantees a medium to long-term future. Exceptional length and intensity; pear, white peach and grapefruit make light work of the oak. Restrained like a lion on a leash. 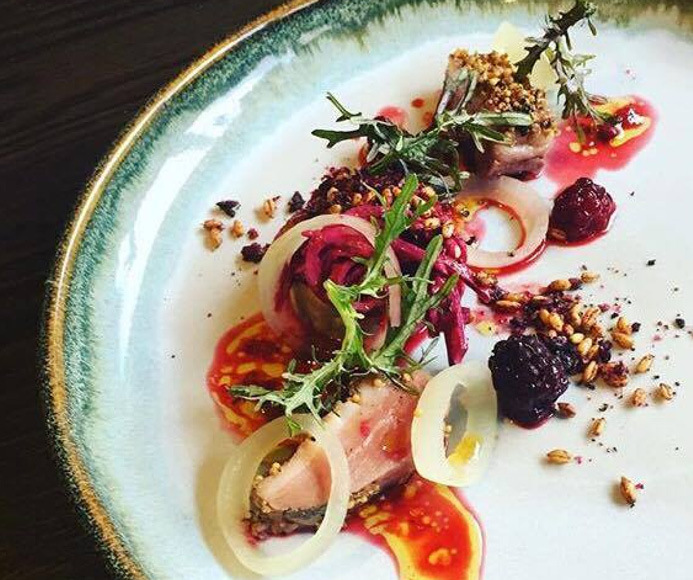 Margaret River hosted its fifth annual Gourmet Escape food and wine festival from 18-20 November 2016. 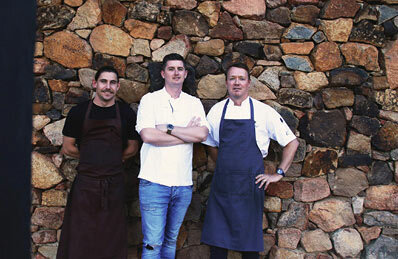 A highlight was Friday night's Local Origins at the Vasse Felix Gallery led by a unique gathering of home-grown talent including Vasse Felix Executive Chef Aaron Carr, Jed Gerrard (Wildflower, Perth) and forager Paul Iskov (Fervor Food). Festival headliner Nigella Lawson was in attendance on the night for a special Q&A, in addition to an unexpected appearance from Rick Stein. 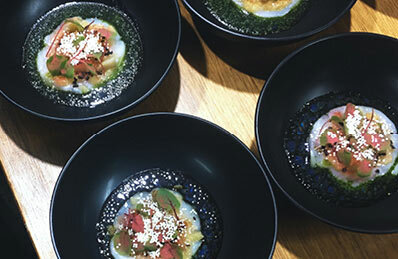 The four course menu showcased the simplicity and flavour of Western Australia’s exceptional produce accompanied by some of Margaret River's finest wines. Saturday night saw Aaron Carr join Isaac McHale (The Clove Club, London - #26 of the World's Best 50 Restaurants) to produce a sublime degustation dinner held in the Vasse Felix Restaurant.